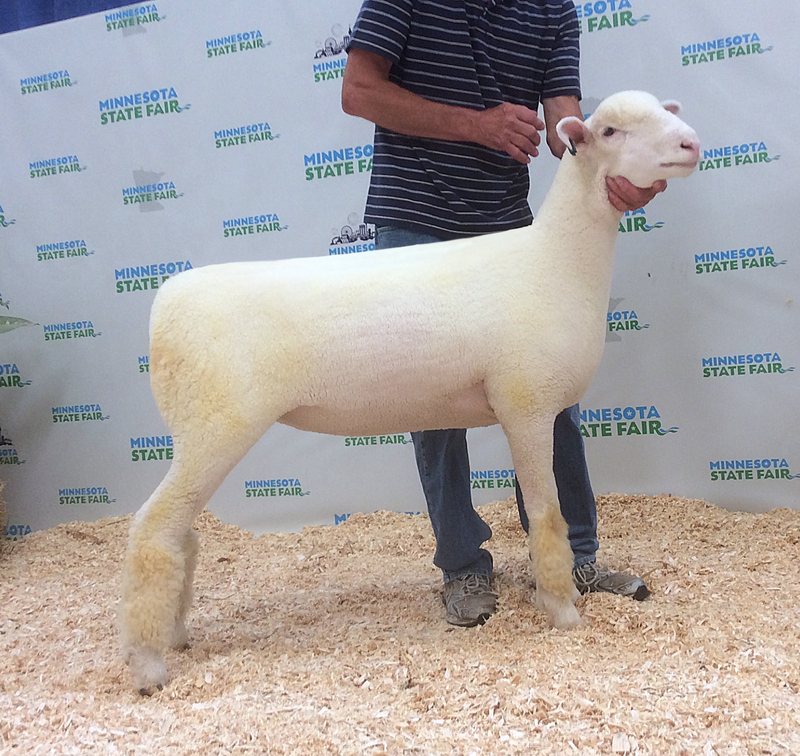 She was 1st Place February Ewe Lamb at the 2013 MN State Fair. 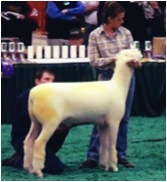 We entered her at the NAILE in Louisville where she placed 5th! 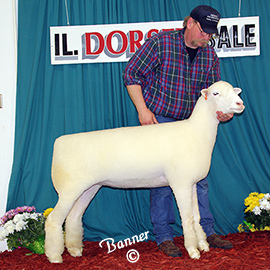 We purchased him at the Riverwood Dispersal in Spring 2013 to sire lambs in 2014. 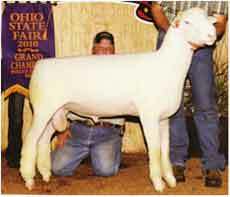 "Dynasty" was named Champion Ram at the 2010 Ohio State Fair! 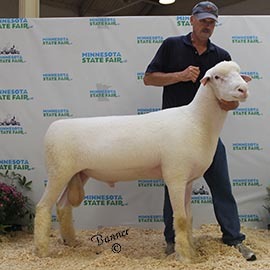 He was named Supreme Champion Ram at the 2011 Rice County Fair (which includes the MN STate Suffolk Show). 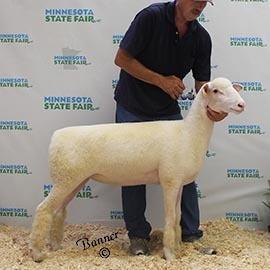 At 2010 Minnesota State Fair. We were also named Premier Exhibitor! 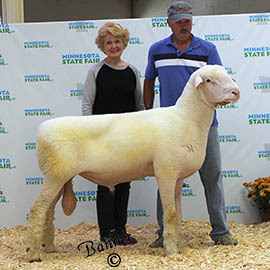 Named Reserve Champion at 2008 MN State Fair as a lamb, and Champion Ram at 2009 MN State Fair. 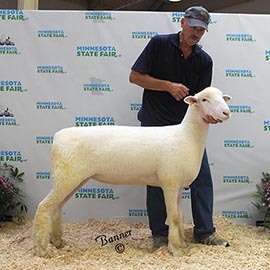 With ewe Sandord D549, they were named 1st mixed Pair Yearlings Over All Breeds at 2009 MN State Fair! 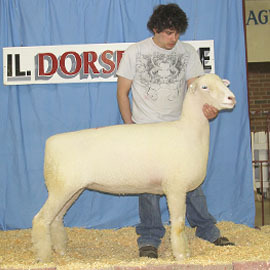 We purchased him as a yearling at the Ohio Dorset Sale. 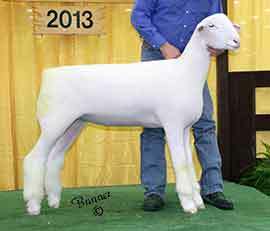 He was a very correct ram with a beautiful profile, and the ability to stamp his progeny. 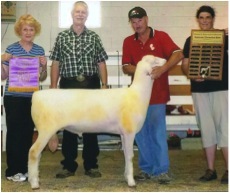 Champion Dorset Ewe at the 2005 MN State Fair as a yearling. 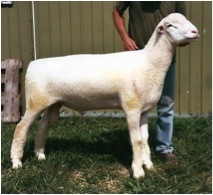 She is the granddam of E027 - the February Ewe Lamb listed above that was 5th at 2013 NAILE. 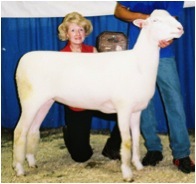 Reserve Champion at the MN State Fair twice (as a lamb in 2002 and as a yearling in 2003). 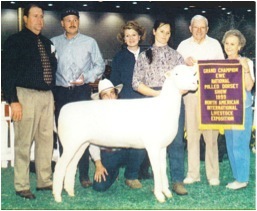 Placed 4th Spring Ram Lamb at NAILE in 2002! 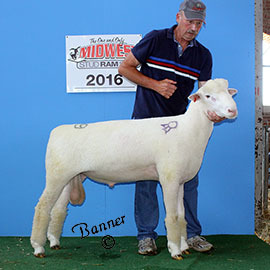 Owned in partnership with Walnut Lake, we purchased the other 50% at the Midwest Sale. 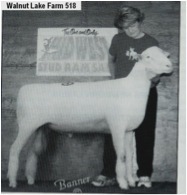 Member of 1st Pair of Ram Lambs at NAILE. 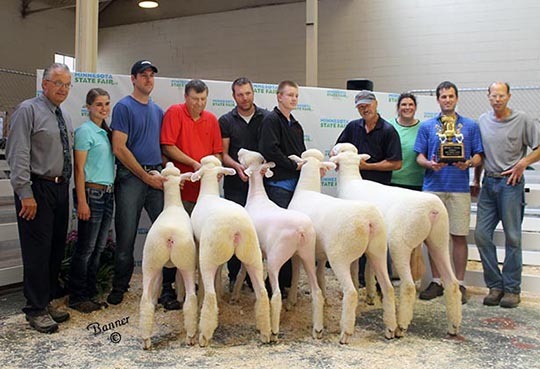 Outstanding son of National Champion Ewe, McCarthy 8042! 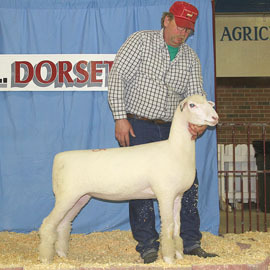 Owned in partnership wiht Walnut Lake Farm, George Lorenz puchased her at the 1999 Ohio Dorset Sale. 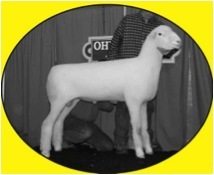 She was Champion at 3 State Fairs adn National Champion at Louisville! 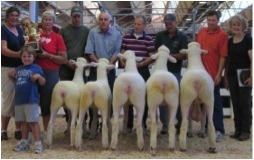 She went on to produce outstanding progeny. 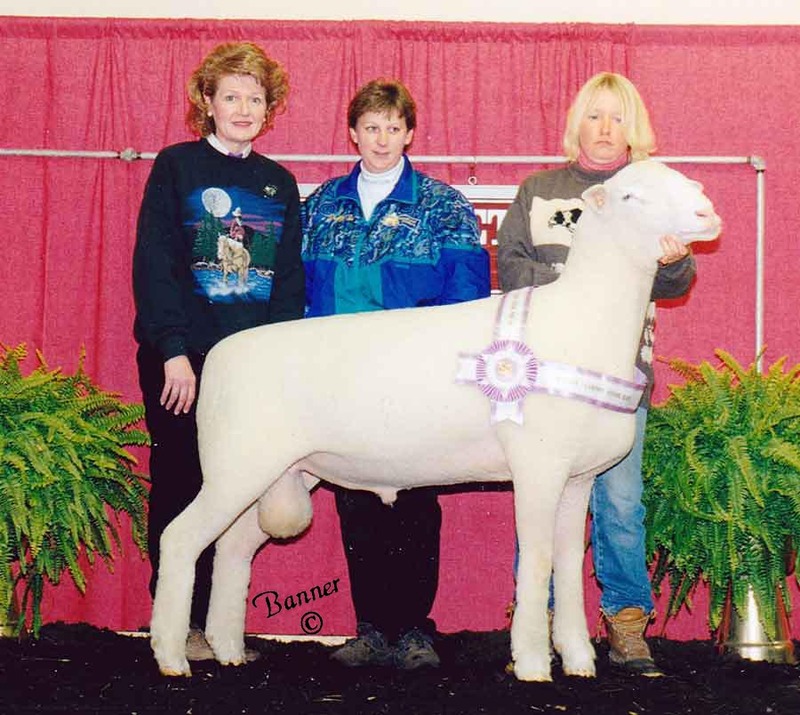 She dided on our farm at the age of 12. 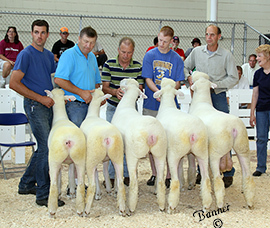 Purchased from Sugar Loaf Dorsets at the 1998 Centennial National Dorset Sale in Ohio. 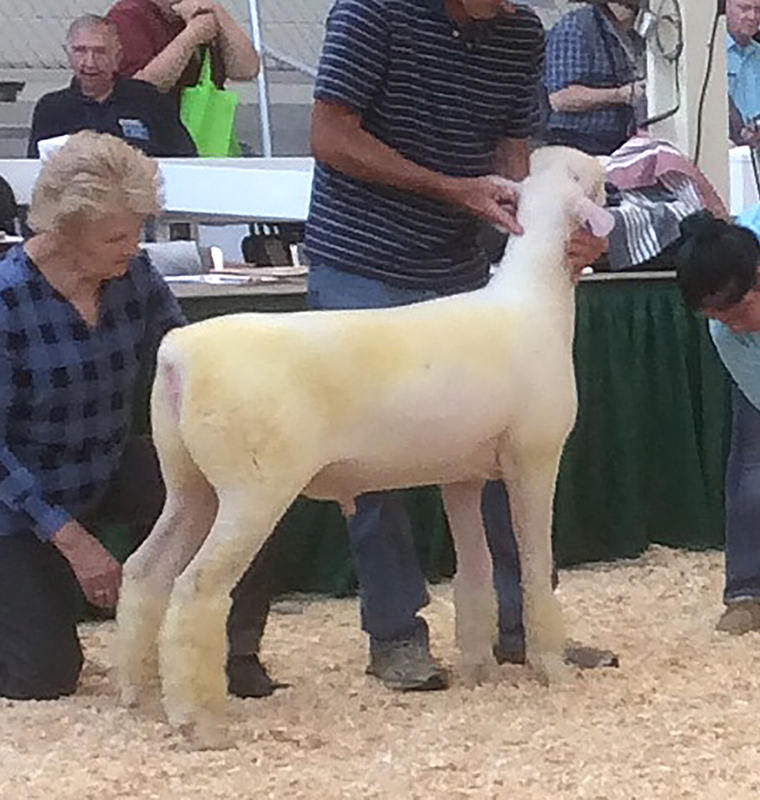 "Mountain Magic" was the Reserve Grand Champion Ram (Yearling). Website Designed by Banner Publications. 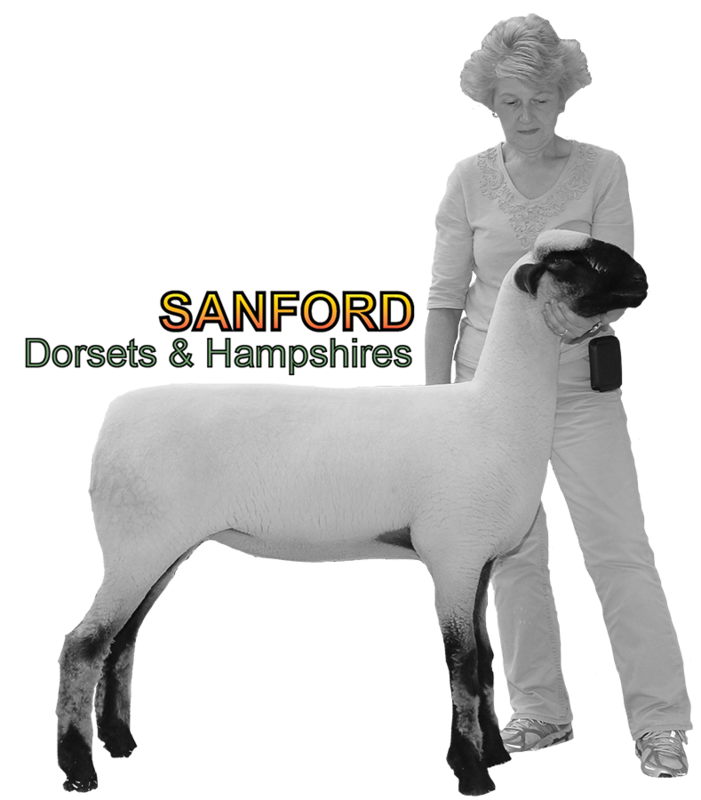 Content © Banner Publications and Sanford Dorsets & Hampshires. All Rights Reserved.